Researchers at MIT have designed a novel device the size of a U.S. quarter that harvests energy from low-frequency vibrations, such as those that might be felt along a pipeline or bridge. The tiny energy harvester — known technically as a microelectromechanical system, or MEMS — picks up a wider range of vibrations than current designs, and is able to generate 100 times the power of devices of similar size. To harvest electricity from environmental vibrations, researchers have typically looked to piezoelectric materials, or PZT, such as quartz and other crystals. 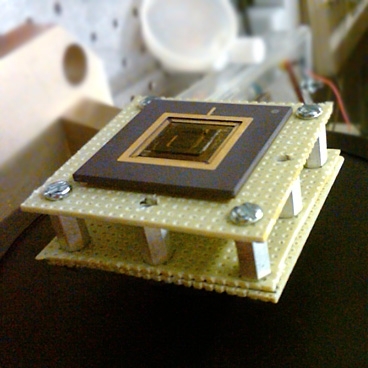 Various designs are based on a small microchip with layers of PZT glued to the top of a tiny cantilever beam. As the chip is exposed to vibrations, the beam moves up and down like a wobbly diving board, bending and stressing the PZT layers.